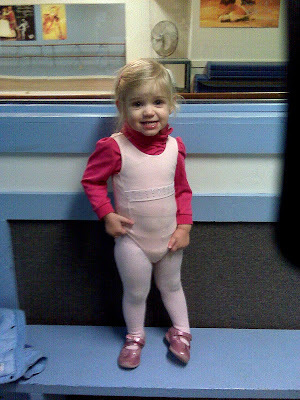 jane started gymnastics today. She was so brave, so respectful to her teachers, so polite to the other children and so excited about the outfit. As far as the actual gymnastics...hmmm. Janie is too precious for words. What a sweetie! Ah! You both are into now! She is so dang-tootin cute!